SAN FRANCISCO, California, January 27, 2011 (ENS) – The right of all citizens to request a preliminary injunction was upheld in a Ninth Circuit Court of Appeals ruling Tuesday in a case brought by two environmental groups. The appeals court set a precedent by defining at what point citizens groups may obtain a preliminary injuction to stop federal projects in the Western states. “This landmark precedent is vitally important because the court ruled that citizens can still get injunctions to temporarily stop government actions, such as clearcutting, while a case is being heard,” said Michael Garrity, executive director of the Alliance for the Wild Rockies, which, along with the Native Ecosystems Council, was a plaintiff in the original lawsuit at the district court level. At issue before the appeals court was the preliminary injunction issued by the Ninth Circuit last year that stopped a federal logging project on the Beaverhead Deerlodge National Forest in southwestern Montana’s Big Hole Valley, about 15 miles from the town of Wisdom. In August and September of 2007, the Rat Creek Wildfire burned about 27,000 acres on the Beaverhead-Deerlodge National Forest. On July 1, 2009, almost two years later, Regional Forester Jane Cottrell made an Emergency Situation Determination for the Rat Creek Salvage Project, which permitted immediate logging of trees on 1,652 of the 27,000 acres that were burned. 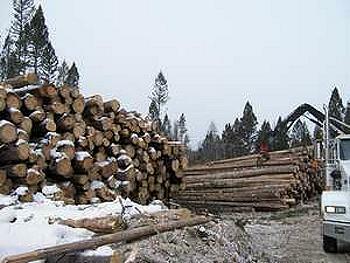 This chief forester’s decision allowed the logging without the delays that might have resulted from the Forest Service’s administrative appeals process. Alliance for the Wild Rockies and the Native Ecosystems Council filed suit in federal district court in Montana, alleging violations of the Appeals Reform Act. District Judge Donald Molloy denied the plaintiffs’ request for a preliminary injunction to stop the logging. Citing the 2008 U.S. Supreme Court ruling in the case of Winter v. Natural Resources Defense Council, Judge Molloy held that Alliance for the Wild Rockies had not shown sufficient likelihood of irreparable injury and success on the merits. “If the damage from clearcutting was allowed to continue while we argued in court, winning would mean nothing because all the trees would already have been cut,” Garrity explained. The plaintiffs appealed Judge Molloy’s ruling to the Ninth Circuit, which allowed the preliminary injunction in June 2010. Susan Jane Brown, staff attorney for the Western Environmental Law Center who represented the plaintiff groups, explained why the ruling is so important. “The preliminary injunction is a critical tool for environmentalists because it allows opponents of a project to stave off an imminent destructive project,” she said. Brown said the issue clarifies the Supreme Court ruling in Winter v. Natural Resources Defense Council, in which the court refused to grant plaintiffs an injunction against the U.S. Navy’s use of sonar off the California coast. In that case, the Supreme Court allowed Navy maneuvers to continue despite plaintiffs’contention that such use was causing damage to whales and other sea mammals. Under the Winter decision, plaintiffs must establish that irreparable harm is likely, not just possible, in order to obtain a preliminary injunction. “In the wake of the Supreme Court decision in Winter v. NRDC, the Department of Justice began arguing nationally that Winter substantially curtailed plaintiffs’ ability to obtain injunctive relief, and that the sliding scale test – which allows the court to balance the often-great magnitude of environmental harm against the likelihood of plaintiff’s success – was no longer good law,” Brown explained. At this point, the Justice Department could ask the U.S. Supreme Court to review this Ninth Circuit decision, and all parties are waiting to see if that happens. If no Supreme Court review is sought, this case goes back to the U.S. District Court in Missoula, Montana for a ruling on the merits.